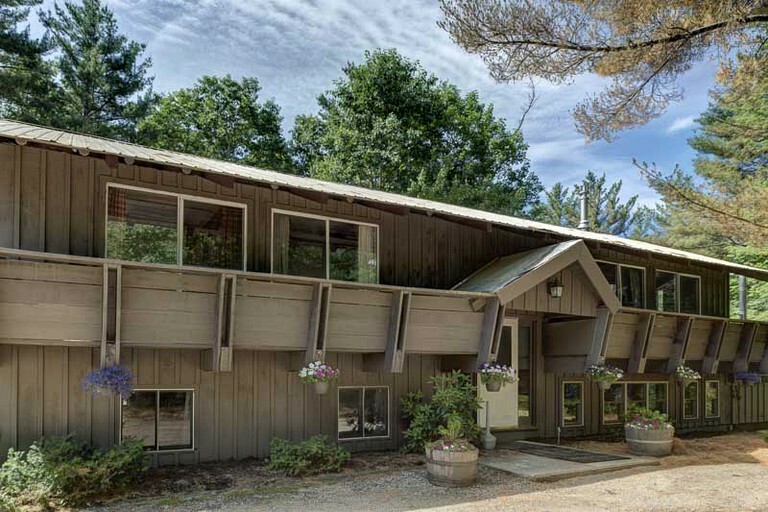 This luxurious mountain lodge is nestled in the woods near the White Mountains, New Hampshire, and can accommodate up to 20 guests. 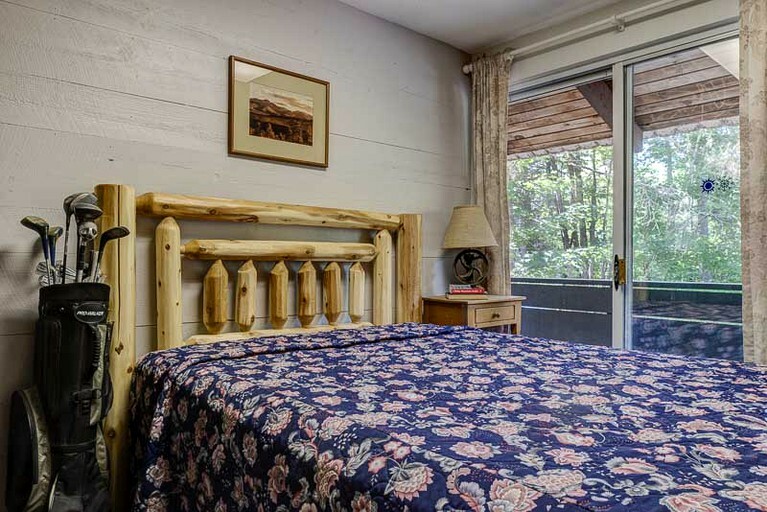 There are ten bedrooms, three full bathrooms, and spacious communal spaces for the group to enjoy. 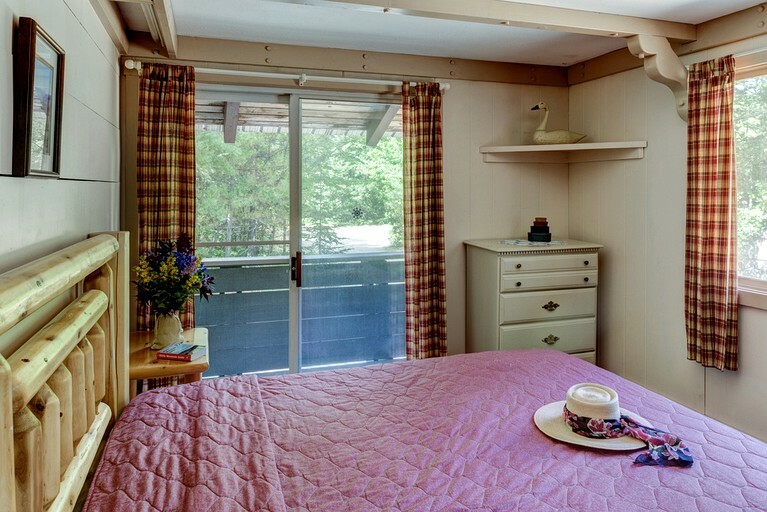 The bedrooms have double beds and comfortable furniture. 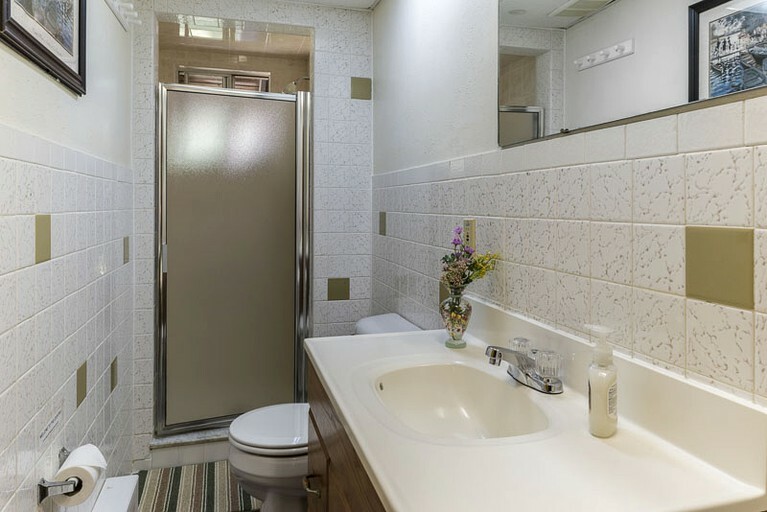 In the bathrooms, guests will find a bath, a toilet, and a sink. Linens and towels are provided. 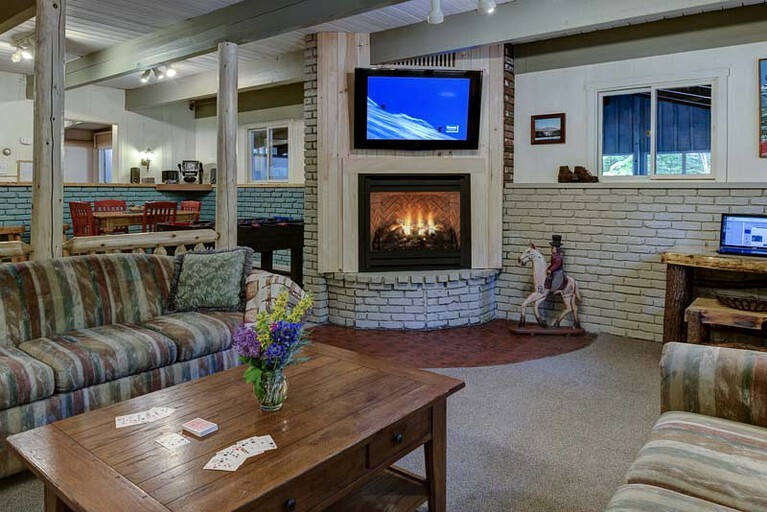 In the living room, there is a luxurious sofa suite, a satellite television, a video library, entertainment systems, and a cozy fireplace. 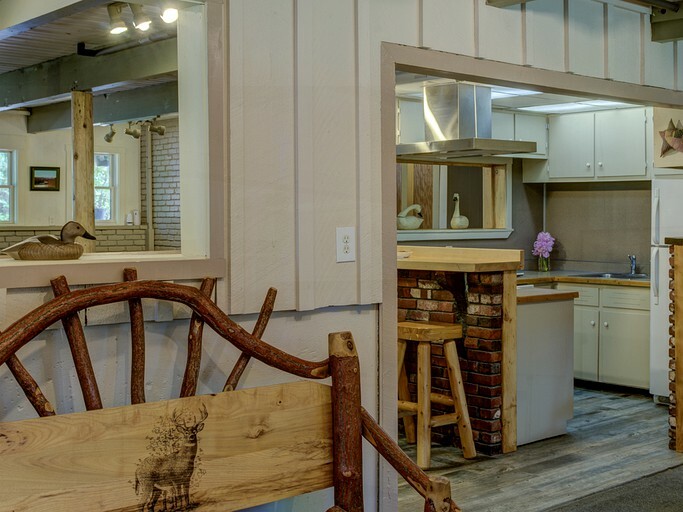 The fully equipped kitchen comes with a breakfast bar, a coffeemaker, a stove, a refrigerator, an oven, a dishwasher, and many other modern conveniences. 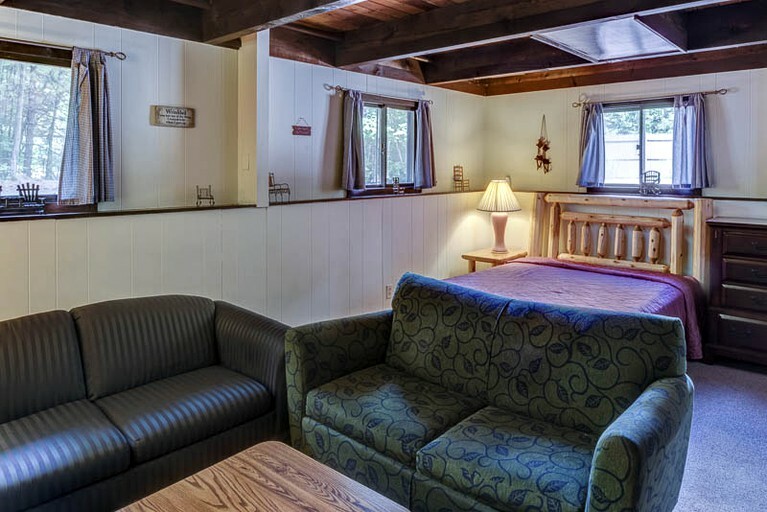 Other amenities include Wi-Fi, a large sauna for relaxing, a dance room with a karaoke machine, and a music system. 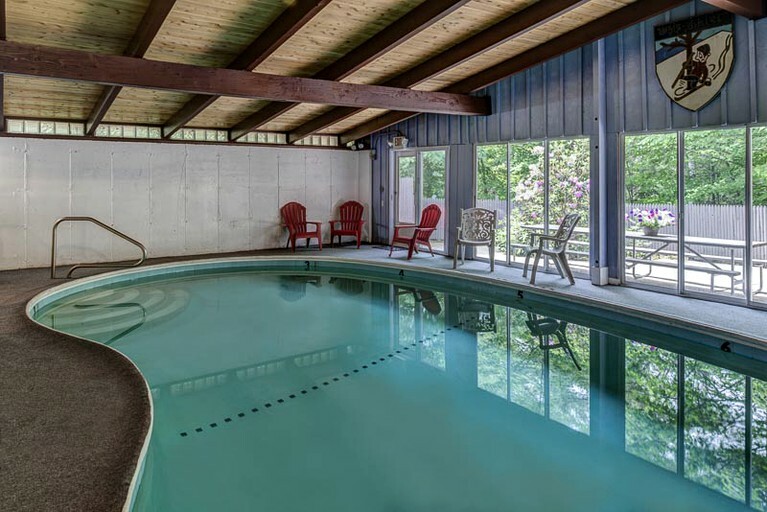 There is also a large, private heated indoor pool for all to enjoy. 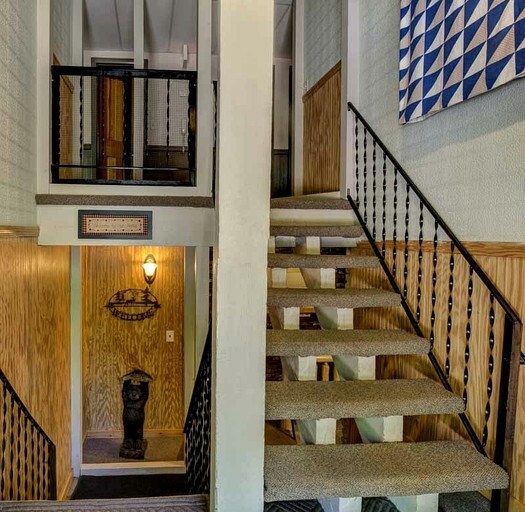 The Totem poles outside, capture the character of this phenomenal property. 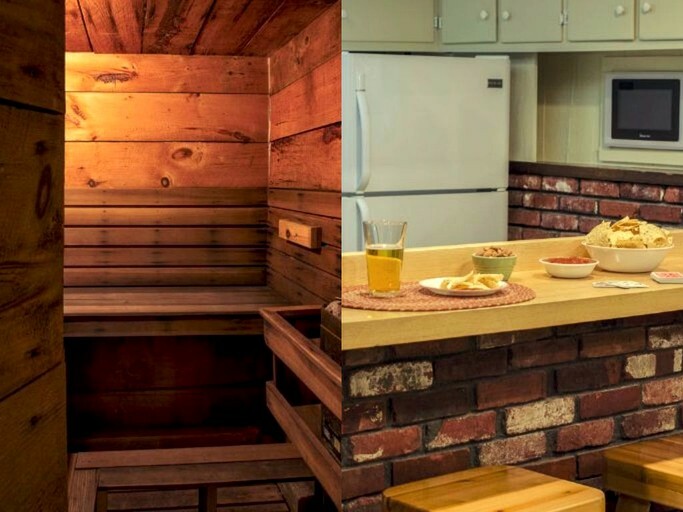 When guests stay at this woodsy lodge, they do not share the amenities with anyone else. 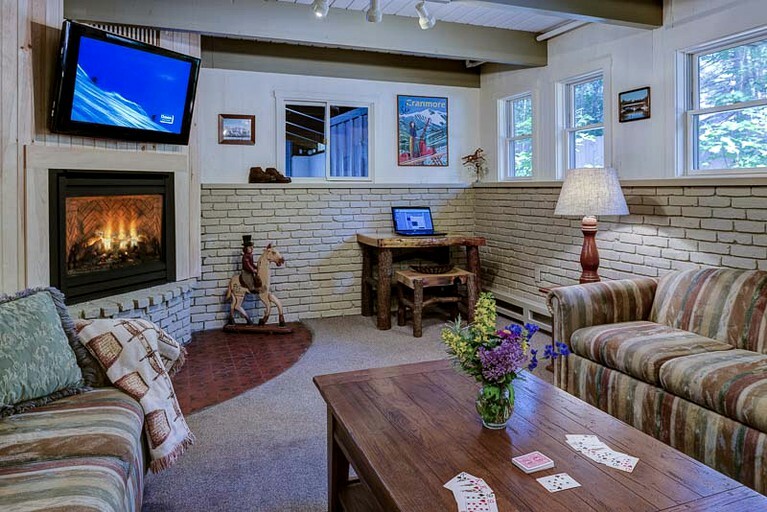 The group has private access to a heated indoor pool, a large sauna for relaxing after a day out in the mountains, and a cozy fireplace. 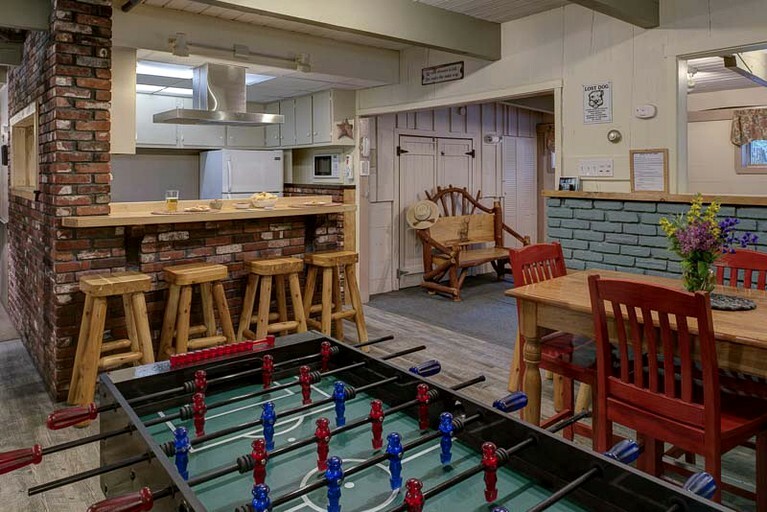 For glampers' entertainment, there is a dance room, with a karaoke machine, a foosball table, a Wii, a seasonal basketball hoop, and widescreen televisions, perfect for catching the latest game. There is also free Wi-Fi available and plenty of parking on-site. Linen rentals are available for up to 20 guests for an additional fee of $400. 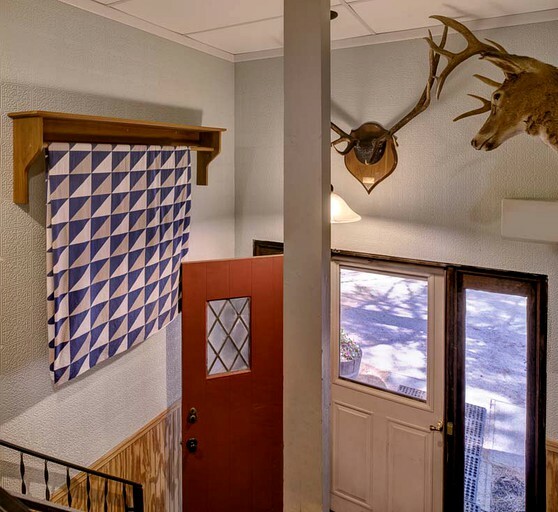 The lodge's 10 bedrooms provide guests the privacy that they'll all need, want, and enjoy after a wonderful day hanging out with friends and family. 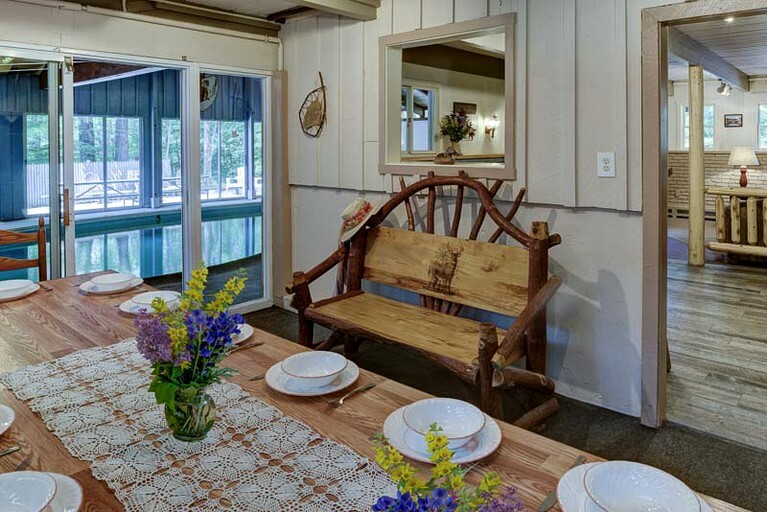 There is also a huge patio that is surrounded by nature, where guests can grill up some steaks on the oversized barbecues, play a game of cards at the huge picnic table, or catch a snooze on an Adirondack chair. The village of North Conway is just eight minutes away and is a hive of activity with a variety of eateries and brewpubs to enjoy. There are many modern shops and antique stores, providing the perfect mix of old-country charm and current fashion. 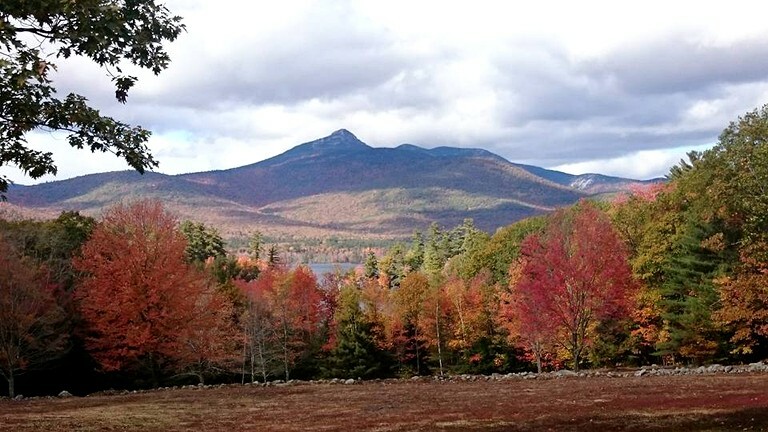 There are plenty of bars, restaurants, and cafes to explore before returning to the retreat and exploring the surrounding nature of the White Mountains. 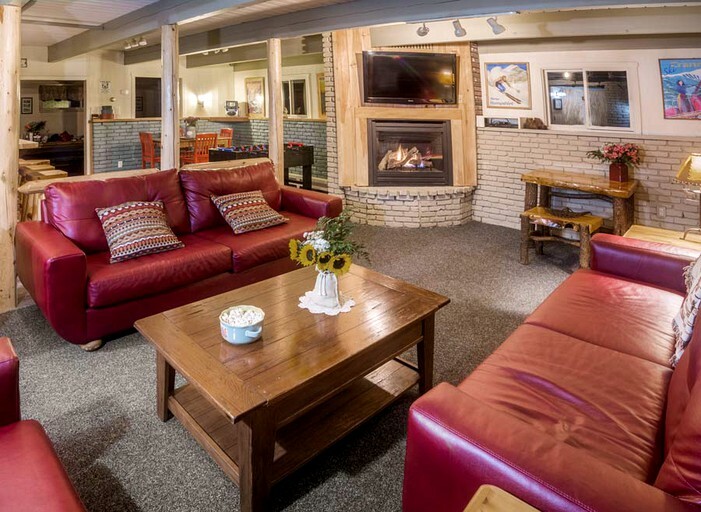 The lodge is just 10 minutes from the nearest ski mountains (Cranmore and Attitash), perfect for skiing and boarding with breathtaking views. 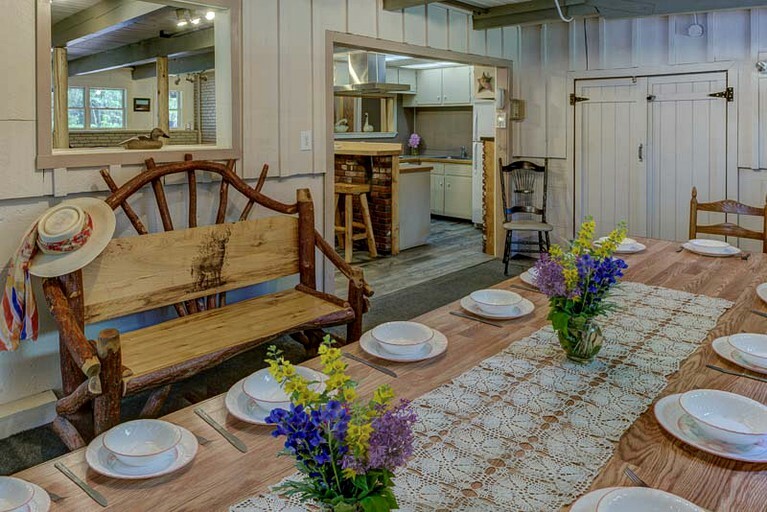 If guests are new to the White Mountains, they can relax knowing that all the great things to do in North Conway are just a few minutes from the lodge. 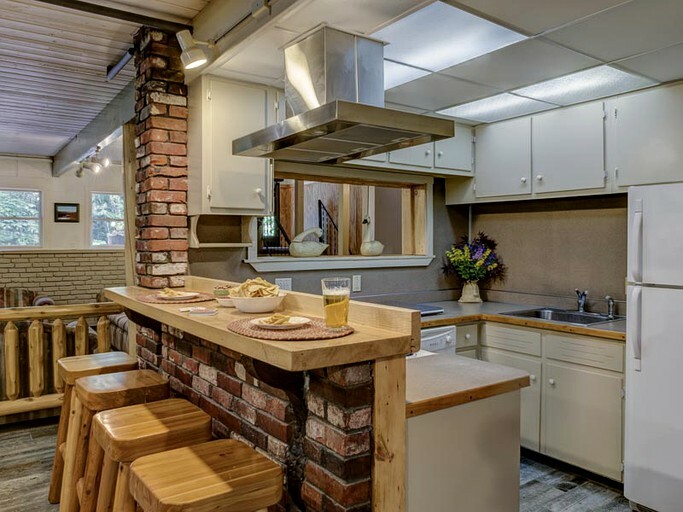 Glampers will have a whole host of activities to enjoy on-site, tucked away in the woods, in the nearby natural surroundings, and the local town of North Conway. The Kancamagus Highway is a spectacular scenic highway and runs from Center Conway through to North Woodstock and passes through the White Mountain National Forest with a number of interesting stop off points. 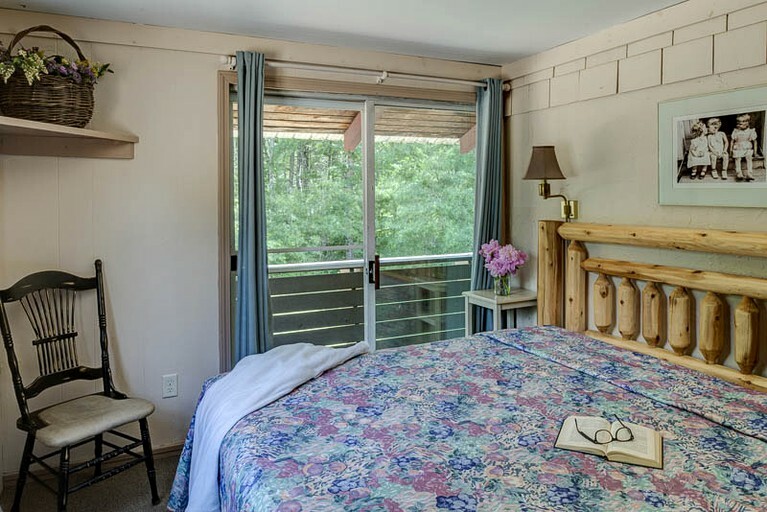 For the adventurous, glampers can rock climb at Cathedral Ledge and White Horse Ledge. 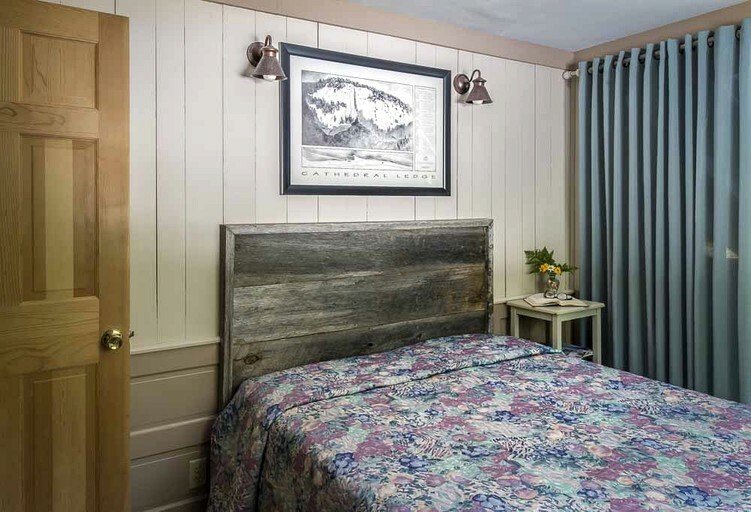 Cranmore Mountain Resort in the heart of North Conway has skiing and riding on 57 trails and glades, as well as tubing, a mountain roller coaster, a giant swing, and a zip-line. There are activities to entertain all ages, from the Mountain Adventure Park to a treetop Aerial Adventure Park. Hikers can discover a wide range of trails and walks, including the Black Cap Hiking trail. The scenery in and around North Conway makes it a perfect spot for long distance bike rides. Many fit bikers traverse the Kancamagus. If kayaking is what guests enjoy, they'll be rewarded with some great views, meet fun folks on the journey, and have a safe and relaxing day. 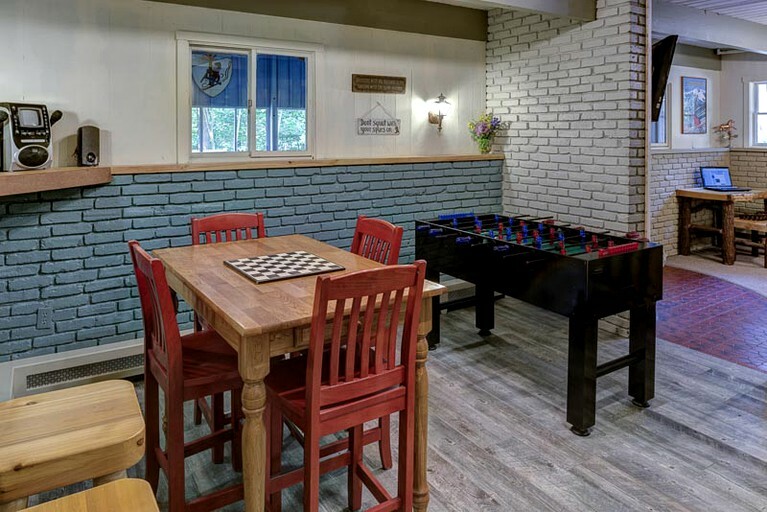 Back at the lodge, guests can enjoy a dip in the heated private pool, relax in the private sauna, challenge their friends or family to a game of foosball, and dance the night away in the dance room. 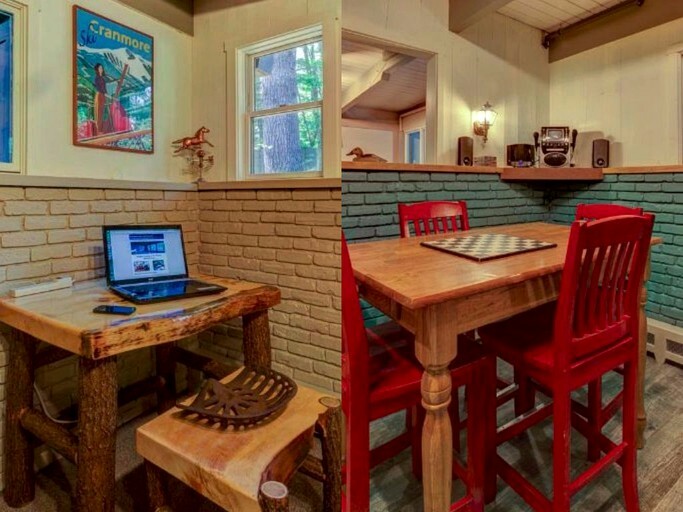 Guests must sign a rental agreement to confirm a booking. Along with the rental agreement, guests must pay a $1,000 security deposit. This property is not suitable for pets nor animals of any kind. 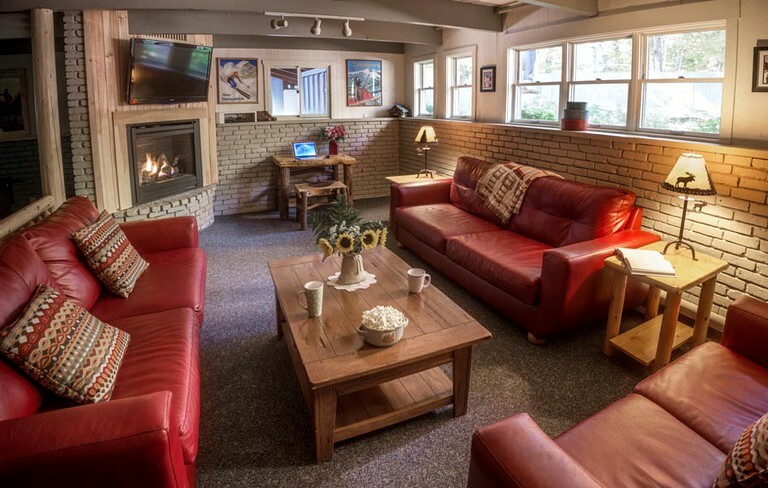 The lodge is also non-smoking, including e-cigs and vapes.